Thess Sabbats were written and being led by – Imbolc our coven’s almost adept Garie. Lammas by our coven’s Priestess Hypatia. Imbolc represents the coming of spring not too far away and love of all kinds from person to person in the Northern Hemisphere. Lammas is the first harvest and the coming of the fall in the Southern Hemisphere. Please do not enter chat room once the circle has been cast as this will release the energy built up for the chants and possibly let something negative enter the sacred space. Thank you. Please scroll down to the hemisphere you live in for the list of things you need for that hemisphere’s ritual. Thank you. EVERYONE: Set up your altar before the ritual starts. Placing an object represents each of the elements so they form a pentagram. In the upper right-hand point of the pentagram – Air: Dream catcher, feather, incense, lower right-hand point Fire: A symbol of the Sun, red or orange candle, a picture of a fire. lower left-hand point Earth: gnome, a bowl of salt or dirt, upper right-hand point Water: Seashell, a bowl of water, any type of sea creature, the top point Spirit: Angel Statue or whatever represents the element of Spirit to you. GARIE: I walk this circle three times asking that all who are in it be kept safe from harm and our magickal workings bring harm to know outside our circle. Next turn South towards the Element Fire, and say, – We call upon the Element Fire bring the light and heat to your transformative bring your stability, and residence to my Magick Circle. Next turn to the West as the Element of Water and say – We call upon the Element of Water to bring us your fluidity and compassion as I cast my Magick Circle. While still facing your altar say – (Light the Goddess candle or touch picture or statue of the Goddess) Blessed the beautiful Goddess Brighid, of healers, smiths, and poets. I call upon you to enter our Magical circle on the Sabbat Imbolic. When the days of Winter are ending, and we can see light ahead. Knowing it almost a time for Spring. (Light the God candle or touch the picture or statue of the God) Bless the handsome God the god of love, lovers and fertility. Mediate for 2 minutes letting the power of the Goddess, God, and Elements rise. Let our homes be filled with happiness and love all the yearlong. Have a snack of some of your family’s favorite foods in honor of the Sabbat Imbolc after the ritual has ended.. (For dinner I will be having homemade potato gravy, cornbread, and banana pudding, and milk to drink). Hold hands with family members and/or friends that are with you and give our blessings to the bountiful of food that we have. Be sure you leave a bite and sip of everything to offer up as thanks to the God and Goddess for their power and presence in this evening’s ritual. As the day marking the first harvest of early grain, this is a good time to bake your own bread. The loaf that is broken and shared in the name of the Goddess. This is a time of great change that needs to take place in one’s life. The Great God gives his energy to the crops to ensure life, while the Great Goddess prepares to enter Her Crone aspect, the Great God slowly loses his strength and it’s a time for the days to grow shorter. 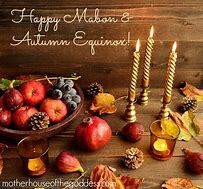 If you are in the Southern Hemisphere you may want to decorate your alter with grains and wheat, husks and freshly baked breads, corn dollies and fruit. Take a handful of grain and face the East, the land of the rising Sun God. Now let us honour the Goddess in all of her fullness. Because of her nurturing we are blessed with the fruitfulness and the Divine Gods energy wanes. As the mother of all nature, we love and adore her with fullest honour and are in reverence that she chooses to share her power of beneficence. Rub the grains in your hands and allow them to fall on the ground or on your alter cloth. Take a piece of fruit, taste it and appreciate and saviour its flavour. Feast on the fruit and seeds. Spend some time meditating on the sense of community bought about in the sharing of the fruits of the land. Think about the bounty that fills your life. What are you getting ready to harvest? Have you taken time over the summer to enjoy the fruits of your labour? How are you preparing to shift into the darkness of the coming months? At the end of the ceremony please feel free to feast on your cider and bread. If you wish to burn your candle in safety please do so, or snuff out and light over the next few days enjoying this transition of seasons. Continue to feast on the bounties that have been gifted by the Great Mother and Father, and finally please dispose of anything sacred or not finished in an appropriate way, with a blessing and back to the great Mother with respect. Honour her with the greatest respect and show your gratitude! The Great Goddess is here for everyone! GARIE: Thank your beautiful Goddess Brighid for bringing your protection, healing, and wisdom in this Magickal circle.Say, You are free to go. Thank you handsome God Cupid for bringing your protection, healing, and wisdom in this Magickal circle.Say, You are free to go.. The Element Fire thank you for bringing your Magickal energies into the circle. You may leave. . The Element Earth for bringing your energies into the circle. You may leave. Thank you Element of Spirit thank you for bring your Magickal energies into the circle. You nay leave.